Unlock the mysterious Clocktower door by finding the Clocktower Key in Dead Cells. In Dead Cells, one item players have been wondering how to get is the Clocktower Key. While exploring the game’s Clocktower area, players will eventually stumble across a mysterious door that cannot be opened without a key. Getting the Clocktower Key needed to unlock this door can be challenging to new players. To help, we’ve put together a quick guide on how to get the Clocktower Key in Dead Cells. To unlock the mysterious Clocktower door, you'll need to get the Clocktower Key in Dead Cells. To get the Clocktower Key in Dead Cells, you’ll first need to reach the Clocktower series of levels. Explore these Clocktower levels to discover the door that can only be opened using the Clocktower Key. Keep in mind that levels change each time you enter and exit in Dead Cells, so you may need to repeat the following steps a few times to get the Clocktower Key. First, start by investigating the Clocktower to find four bells hidden throughout the level. Interact with each different bell to hear its unique tone. Once you have an idea what each bell sounds like, you’ll need to strike the bells in order from lowest tone to highest tone. We recommend writing down where you’ve found the bells and what their tone is before beginning to strike them, as this step will need to be completed fairly quickly. By correctly striking the four bells in order from lowest to highest, you’ll be rewarded with the Clocktower Key which can be used to unlock the mysterious Clocktower door. Behind the door, you’ll find a blueprint. Take this blueprint to The Collector for identification and it’ll be revealed to be the Punishment Shield. 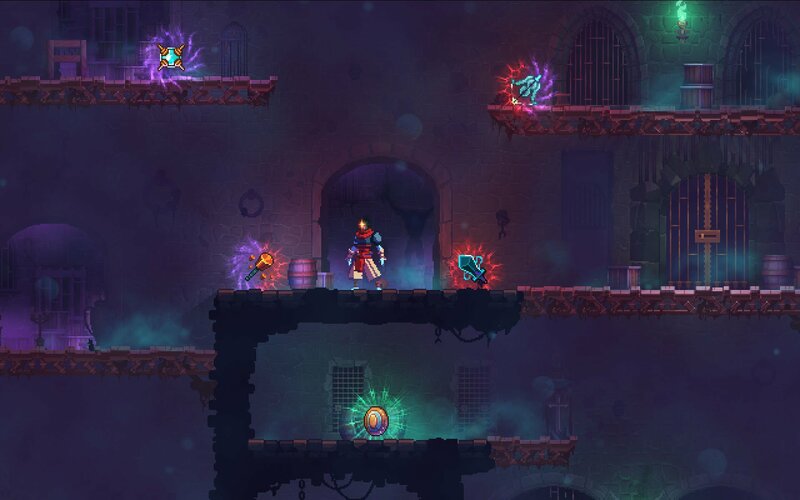 In Dead Cells, the Punishment Shield is capable of reflecting the damage aimed at you and sending it out at enemies nearby should you parry successfully. It’s an amazing shield to have, making the process of getting the Clocktower Key a worthwhile endeavour. For more on Dead Cells, be sure to check out some of our previous guides including where to get the Spider Rune in Dead Cells, how to get the Vine Rune in Dead Cells, and how to use Hunter’s Grenades in Dead Cells. By reading through this guide, you should now know how to get the Clocktower Key in Dead Cells.